On September 4, Center for Media Justice along with a group of organizations representing the civil rights, criminal reform, legal and public interest sectors met with the Chairman of the FCC. On September 4, Center for Media Justice along with a group of organizations representing the civil rights, criminal reform, legal and public interest sectors met with the Chairman of the FCC. These organizations—all with national reach—were at the FCC to ask Chairman Genachowski to support the Wright Petition–a petition filed with the FCC, against Corrections Corporation of America. 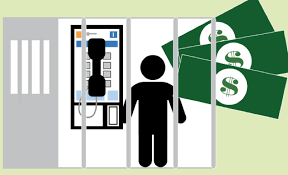 The petition calls for the FCC to cap interstate phone rates within prisons, placing a limit on what companies can charge. Sadly, this petition has been pending at the FCC since 2003, and has yet to be ruled on. Leaders reminded the Chairman that March 2013 marks the 10-year anniversary of the filing–and 10 years of inactivity by the FCC. “We have to believe the delay is one of avoidance,” said Wade Henderson of the Leadership Conference on Civil and Human Rights. Referencing studies, which show that regular communication between inmates and their support system helps to reduce recidivism, the group asked the FCC to issue a Notice of Proposed Rulemaking before the elections, and a final rule before the 10-year anniversary. “We’ve been working on this issue for years,” said Kay Perry of CURE. “We’ve been at this since before the Martha Wright petition…. On behalf of the thousands of people that CURE represents, we need action now.” The groups told the Chairman that states are looking to the FCC to set the tone on these proceedings and provide a ‘standard’ they can follow. They further shared details about the broad bi-partisan support they had created on the issue, citing a ‘right/left’ letter that was sent to the FCC last May. Support the Campaign for Prison Phone Justice and the social actions tied to the Middle of Nowhere.